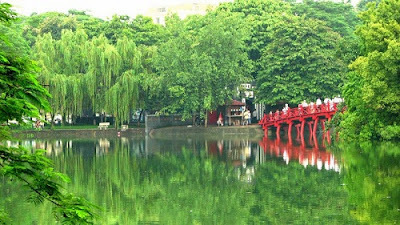 Using my own non-expert terminology, I like to think of the Hoan Kiem Lake area as the "Heart of Hanoi" which is must-see place in your Hanoi Tour. I think a tourist brochure would call it “the French Quarter”. 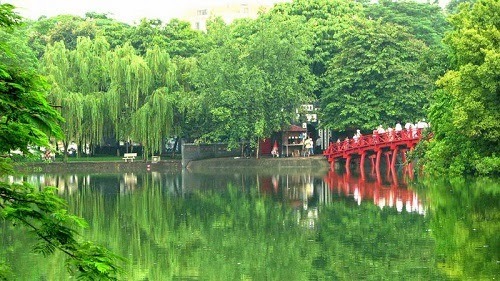 Don't let the word "lake" fool you; Hoan Kiem Lake is practically a pond. I imagine that the diameter is somewhere around 1 kilometer. The pictures don’t seem to capture how small the area really is. Ho Hoan Kiem (or Lake of the Restored Sword) was once part of the Red river (song Hong). Throughout thousands of years of geographical changes, the lake moved eastward to its present position kilometers from the river. 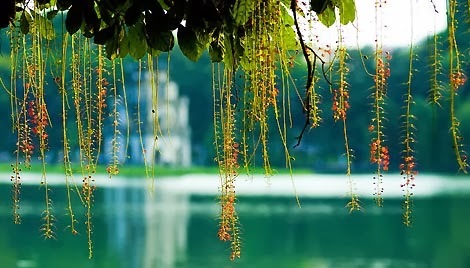 Before the famous historical legend of King Le Loi here, Hoan Kiem Lake used to be called Luc Thuy Lake (or Green Water Lake) since the water was green all the year round. In 15th century, it was named Hoan Kiem Lake after the legend of Emperor Le Thai To, which is somehow similar to the story of King Arthur and the Lady of the Lake's. . 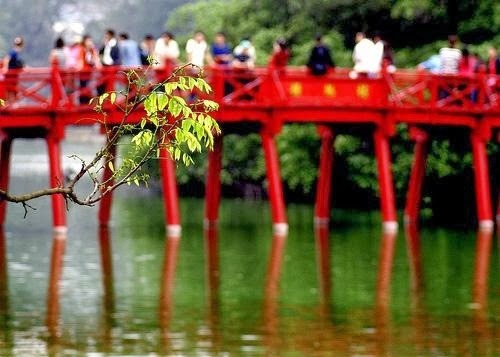 Hence, Hoan Kiem Lake is now situated inside a complex of Ngoc Son Temple, The Huc Bridge, Pen Tower in the surroundings, making a sparkling colorful natural picture! 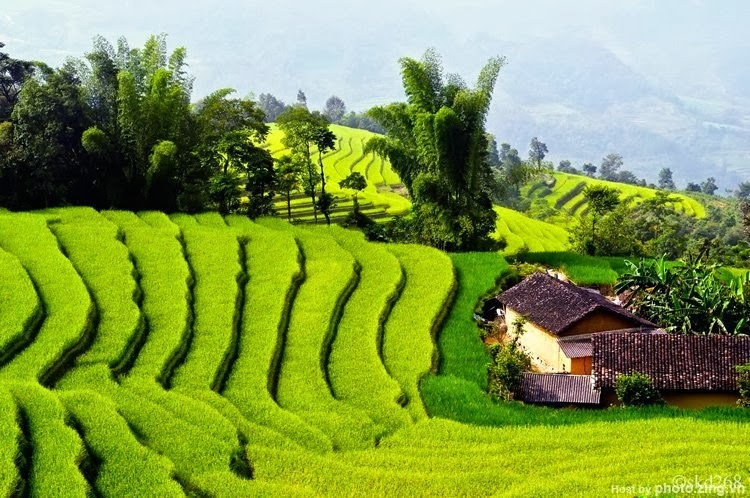 Ngoc Son has undergone a lot of renovations, one among which was the addition of Thap But (translated as Pen Tower) on its hill, which was once called Dao Tai. Three words were inscribed on the tower: "Ta Thien Thanh" or "write on blue sky". Inside the gate a pool resembling the shape of an ink well was added. Beyond the ink well is The Huc bridge, which means "where the sun light is absorbed". The bridge leads to Dac Nguyet Lau (or "Moon Light tower") - Ngoc Son shrine. Beyond the gates to the shrine, there are two walls called bang Rong and bang Ho (dragon and tiger slate), where the names of those who passed the national test were inscribed. 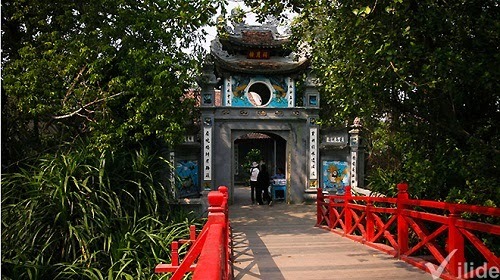 What could not be missed in this beautiful complex is the Turtle Tower, which lies in the middle of the Lake, so as to remind Vietnamese people of the Turtle God of his great assistance. It was told that King Le Thanh Tong used to fish here. Lord Trinh also built the structure to house his entourage while visiting the lake. During the wedding season, I'd seen professional photographers snap shots of brides and grooms on the green lawns beside the water. Traditionally, at midnight on the first night of the Tet New Year celebration, the most significant moment in Vietnam's year, the smoke cloud of a millioin exploding firecrackers covered the lake like a blanket on a newborn. Hanoians didn't even call Hoan Kiem Lake by its popular name, but used a shorthand term of endearment, bo ho, "the shore of the lake." No one had to ask, which shore? which lake? 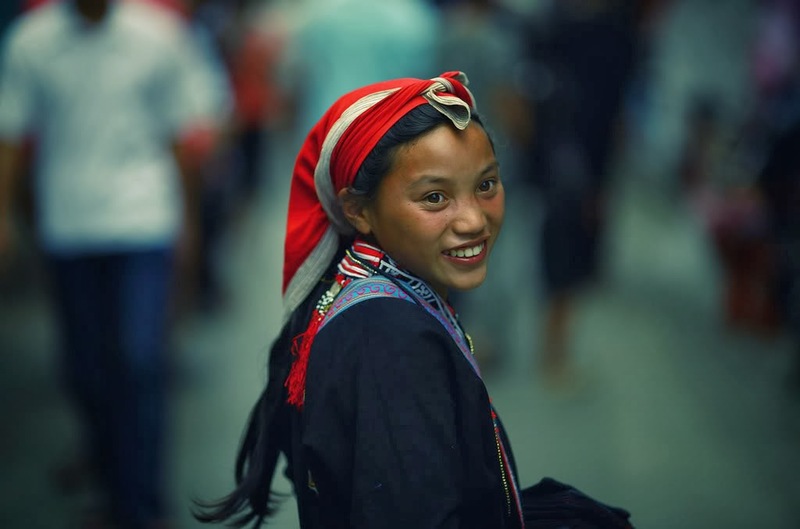 Bo ho wasn't merely the heart of the city, but its lungs, and mind, and soul as well. The ‘tortoises’ of Hoan Kiem Lake are actually rare Asian soft-shelled freshwater giant turtles (the word ‘rua’ in Vietnamese covers both species). An unknown number still inhabit the murky water –occasionally a head pops up, a powerful omen of good luck for anyone fortunate to witness the event. *Watch people doing what I believe was Tai Chi (sp?) in the morning. (Hint: Dawn is pretty. Get up early). *see the water puppet show (Note: this is not on the lake, but rather in a nearby theater. Also, ask someone about the times; the shows are usually at night).